In March, Costa Rica is well into its summer season. The country is warm, the beaches are prime, and the people are ready to celebrate. March means bikinis, tropical fruit smoothies, and fans running 24/7. The locals and new residents to Costa Rica know not to let the heat get them down. To keep their spirits high, March has turned into a month of festivities. You won’t be able to avoid the celebration during your March trip, but you also would never want to. Be aware of the celebrations taking place during your stay in this tropical country, and be ready to join along. In San Jose, proud ranchers and cowboys gather every March to show off their prized livestock. And this isn’t just an event for rancher families. The entire country comes to celebrate livestock shows, watch friendly bull rides, and participate in the public carnivals. 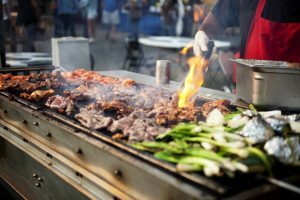 There will be rodeos every day for an entire week, and you’ll keep your travel group entertained and well-fed on the fair grounds. 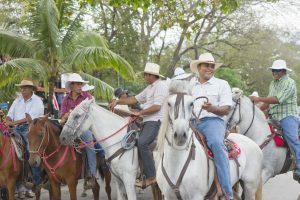 Stopping by the Bonanza Cattle Show means active fun and a side of Costa Rican culture you otherwise would never have seen. If you find yourself in Costa Rica around this date, make your way to Escazu. This is not a celebration you’ll want to miss. The Costa Rican boyeros, or ox cart drivers, will come to show their most intricately designed and painted carts. And these carts are a sight to behold. 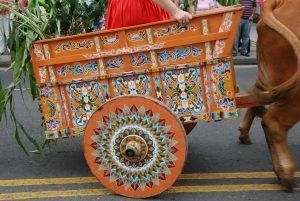 In fact, some consider the painted ox carts to be one of the major forms of traditional art in Costa Rica. Art lovers, animal lovers, and those who love a festive atmosphere will find everything the want at this public party. Take some brightly colored pictures, fill your belly with local foods, and make your way back home with your new knowledge of local culture. This is Jaco’s biggest music festival of the entire year. More likely than not, you’re already planning your vacation around the Pacific coast beaches. Make sure you find a Jaco hotel with plenty of time to spare, the region will fill up quickly. Check online for a list of shows, events, and local musicians. Bring along all your beach gear and get ready for a weekend in the sun. 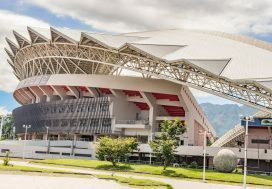 The International Arts Festival in Costa Rica is the largest arts fair in the region. It’s only held on even numbered years, so 2018 is your chance to attend. You can expect top-notch theatrical performances, live bands from around the globe, and the traditional dances of many different cultures. If you want to fit a cultural event into your trip itinerary, make sure you’re in the bustling capital of San Jose for this special occasion. This festival in Alajuela is a must-see. It’s also a must-taste. Costa Rica is famous for its array of tropical fruits, and the country has no lack of creativity when using these exotic foods. You’ll learn about some fruit you haven’t even heard of, and you’ll have the experience to taste the raw fruits along with homemade jam, preservatives, and pastries. Along with exotic fruits, orchids are a major point of pride for Costa Rica. This Central American country boasts more than 300 varieties of orchids, and many of them are absolutely stunning. 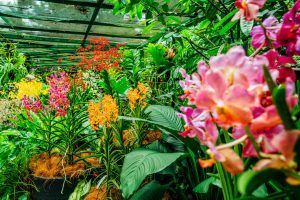 At this annual festival in San Jose, you’ll have the chance to see almost every variety of orchid native to the country and buy some incredible bouquets. This will be the perfect photo-op for a bright, tropical postcard. On the day of Saint Joseph, San Jose celebrates their patron saint. The celebration is absolutely tico style, with parades, friendly bull rides, street food, and Catholic masses. The parade will feature a statue of Saint Joseph, but the rest of the town will drift away from the religious aspect of the day. 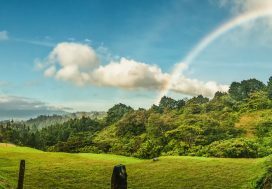 You’ll watch Costa Rican cowboys attempt to ride their strongest bulls, your kids will take turns on the fair rides, and you’ll all enjoy the live music. This fair is not one to be missed. Showcasing food from all over the world, this fair concentrates on Costa Rica’s diversity. Immigrants to Costa Rica from China, Lebanon, Israel, and other countries are given an opportunity to display their finest meals, of course accompanied with Costa Rica’s own traditional food. Make your way to Coronado in San Jose to celebrate to the fullest. An afternoon at the fairgrounds will leave you with a full belly and a better understanding of diversity in Costa Rica. The week before Easter is a religious celebration worldwide, but in Central America the week takes on a much more festive, much less religious, appearance. The entire country will hit the beach. There will be endless parties, endless drinks, and more activities than you could possibly participate in. Don’t plan on a Holy Week in Costa Rica unprepared, however. Hotels will book months in advance and the cities will be too over-crowded for last minute guests. Plan your Semana Santa with care. This will be the spring break to beat all spring breaks, but if you don’t arrive with reservations, you could be left out on the sand.